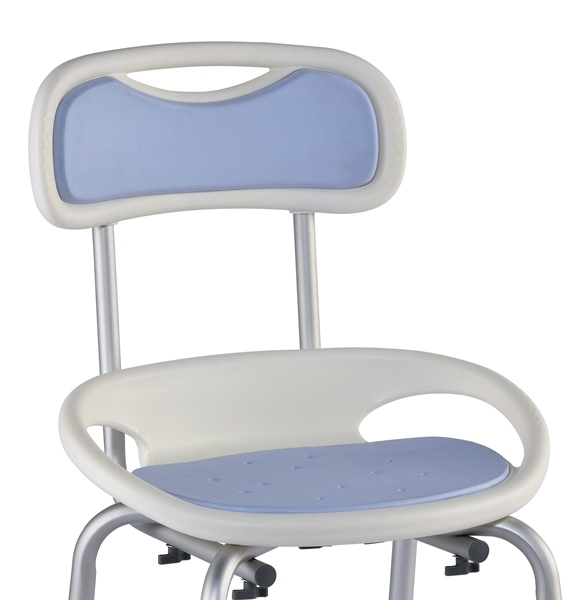 The Juvo Comfort Bath and Shower Chair is a contemporary bath safety chair that provides a comfortable, sturdy seat for bathing or showering. 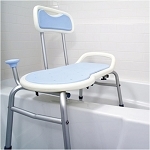 Caregivers will find this thoughtfully designed bath seat contemporary bath safety chair allows users to shower or bathe in comfort while avoiding slips and falls. 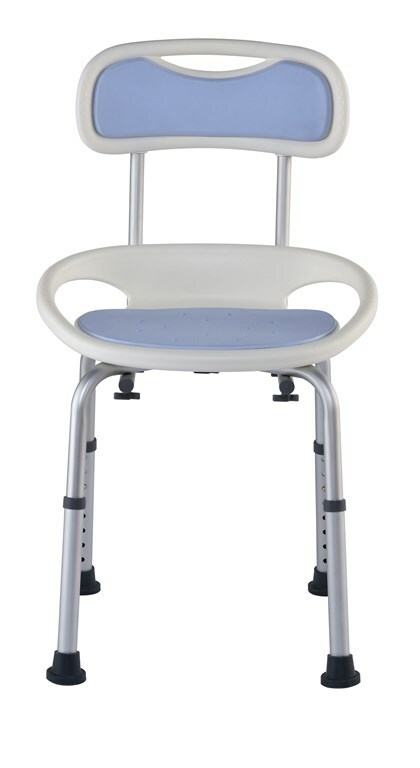 The Juvo Comfort Bath and Shower Chair features a contemporary design with integrated handles for added support and safety to assist users when sitting and standing. 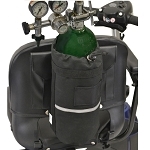 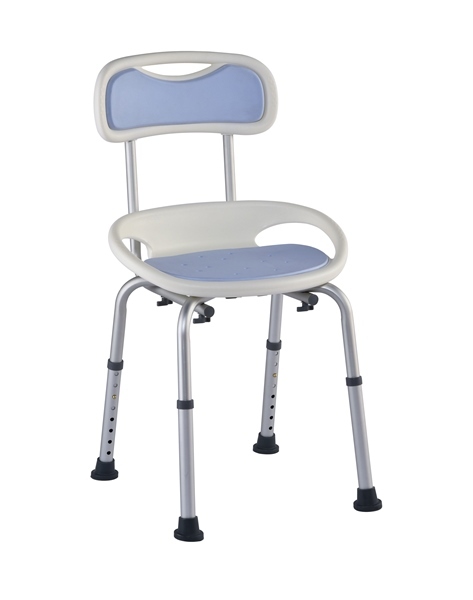 The seat and backrest have soft foam padded cushions for added comfort. 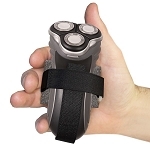 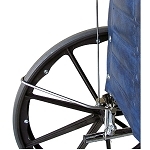 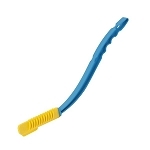 The wide profile legs adjust from 14 to 21 inches and have suction tips that stay securely in place for added safety. 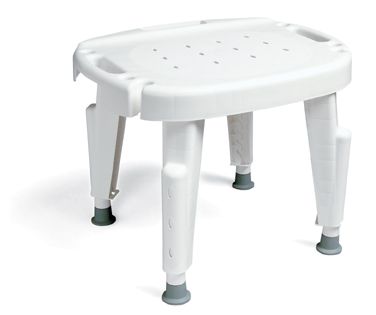 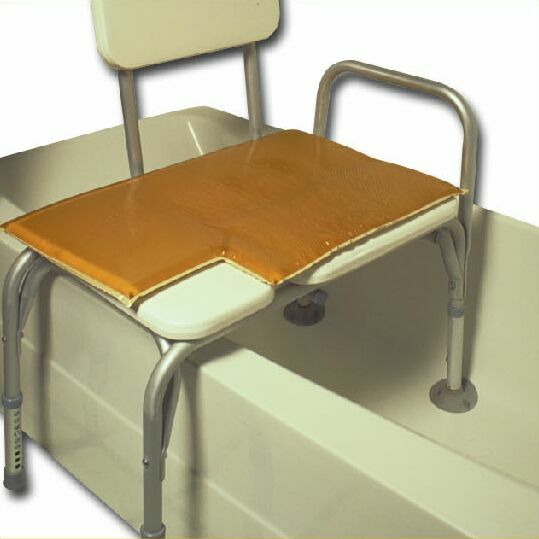 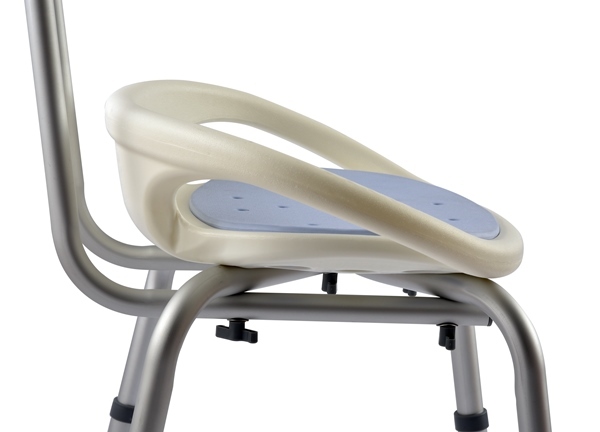 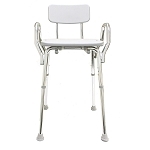 This durable bath safety chair does not require any tools for assembly and has a weight capacity of 300 pounds. 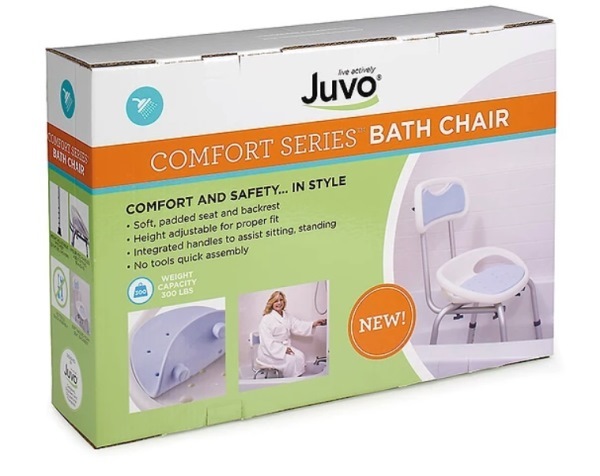 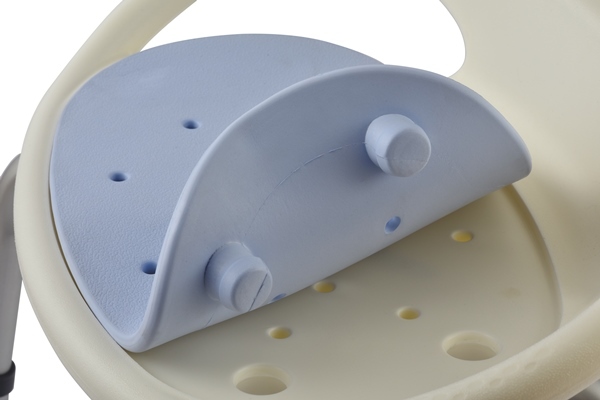 The Juvo Comfort Bath Chair helps caregivers provide users with limited mobility a comfortable seat for increased bath safety for everyday personal care.